We are delighted to be host sponsors for both the Nottingham Post and Derby Telegraph Business Awards this year. It’s our first time supporting these prestigious events and we’re excited to be involved. Nominations are open for both awards and there is much anticipation to see which companies will put themselves forward. 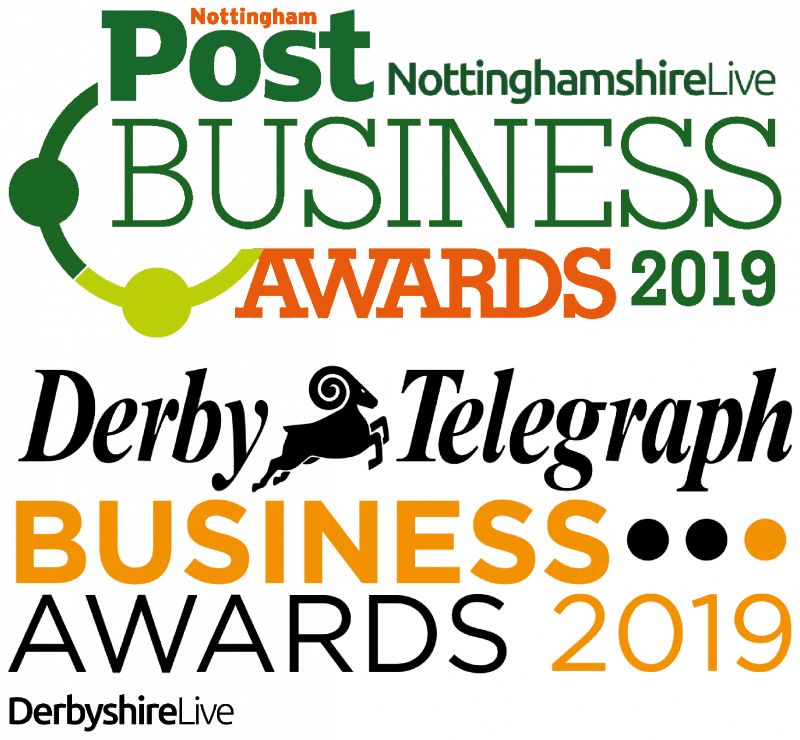 Nottingham and Derby have 15 and 16 categories of awards respectively so there is plenty of scope for firms and organisations from different industry sectors to get involved. Nominations close at midnight on 15th February for Nottingham and 1st March for Derby. Nottingham and Derby are cities with great companies and industries at their hearts. Pharmaceuticals, Bioscience, Aerospace and Rail Technologies are a few of the highest profile industry sectors that drive the commercial success of our region and it is home to some of the most prominent players in these markets. However, proud as we are of the famous names (Boots, Bombardier, Rolls Royce, Paul Smith etc) the awards will celebrate companies and organisations of all sizes that are successful in their own spheres or make a significant contribution to their communities. We should shout loudly about the talent that exists in the East Midlands and the diverse and exciting career opportunities that exist here. Entering for an award is a great excuse to take a step back and look at what you do and how well you do it. Showing the world that you’re proud of your organisation and its people can also be a boost for staff morale. A place at the finalists’ table is a reward for the year’s hard work. Entries are open until 15th Feb 2019 (Nottingham Post) and 1st March 2019 (Derby Telegraph) so why not nominate your company? Simply go to www.nottinghampostbusinessawards.co.uk or www.derbytelegraphbusinessawards.co.uk to enter.